Fun Night At Our Golden Globe Live Tweeting Party, Plus All the Winners! This year was the 72nd annual Golden Globe Awards Show and Tinseltown Mom was thrilled to be part of the celebration! 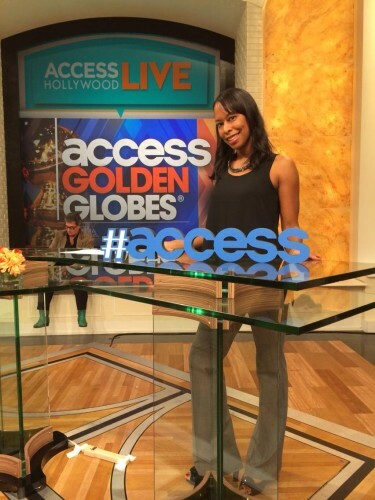 We participated in the first ever Access Hollywood Golden Globe party right on the Access Hollywood set. It was a fun night hanging out and live-tweeting the red carpet festivities. It was great meeting the lovely Liz Hernandez, Access Hollywood correspondent and television host. And, check out a clip below of yours truly in action, working hard!